FREE SMILES | Give a smile. Get a smile. Give a smile. Get a smile. 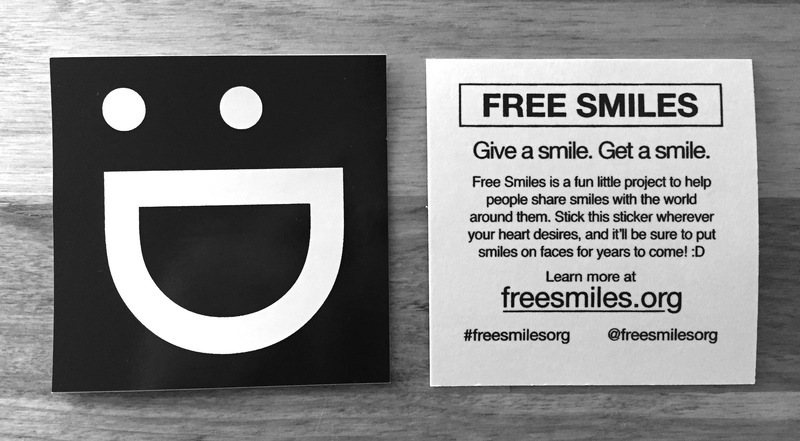 Free Smiles is a fun little project to help people share smiles with the world around them. It's amazing how much of a difference it can make when you share a smile with a stranger, and everyone loves stickers! Give them to servers and bartenders and convenience store cashiers. Give them to ticket-takers and flight attendants and grocery store baggers. Give them to bus drivers and barbacks and pizza delivery drivers! Give them to your friends! Give them to your family! The more you give away, the more smiles will brighten your day. 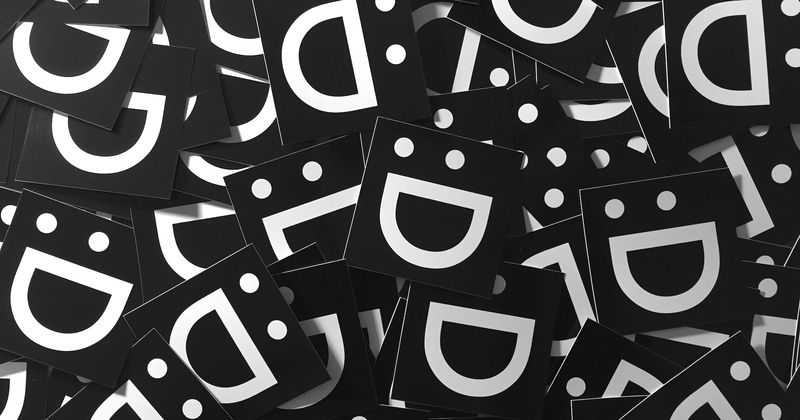 Free smiles are super high-quality weatherproof vinyl stickers made by the lovely Sticker Guy in Reno, Nevada. They are scratch-proof and fade-proof, and when applied properly to a clean, dry, smooth surface, they are there to stay. There really isn't a better sticker anywhere in the world. Each free smile is 2.5 inches square and has a cute little message printed on the backing (the part you peel off) explaining just how cool it is. They fit perfectly in most wallets, so, stuff a couple in there and you'll be passing out free smiles on the regular. We promise to only use your name and address to send you Free Smiles, and we might send you an email every once-in-a-while if we've got something really cool to share.